Toby “Trotty” Veck is old and poor. He does various messenger jobs to make ends meet. His existence is destitute. He wonders about the cruelty and heartlessness of the world, particularly if people are good or bad. After thinks about a prostitute abused by her pimp, corrupt government officials, all of the common criminals, and a mother who kills her child and then herself, Trotty decides that people are born evil. While on his way home, Trotty meets a man who some corrupt politicians are trying to track down. The man is impoverished, like Trotty, and has a little girl with him. Trotty brings them to his house where his family feeds and cares for them. During the night, goblins come down from the bell tower and take Trotty away to show him that people are not inherently bad. 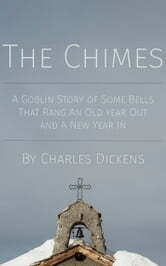 Using the same supernatural flare found in A Christmas Carol, Dickens tells another heartwarming story encouraging his readers to have a little faith in humanity. A biography of Charles Dickens to introduce the text.